With his label Detail Recordings and his many releases for the scenes biggest labels, Lynx is a man on a mission to deliver only the freshest and most innovative sounds in underground electronic music. 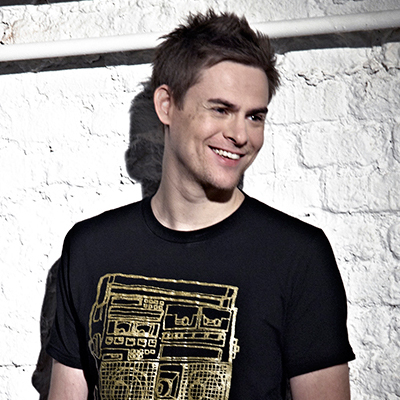 Standout tracks including ‘Disco Dodo’ and ‘Global Enemies’ may have helped make his name across the worldwide drum & bass scene but the sheer diversity and quality of Lynx’s output across labels like Soul:r, Creative Source, Digital Soundboy and Bingo have marked him as a producer par-excellence. Remixes for Metalheadz, Hospital and Innerground, plus his sublime reworking of James Blakes ‘Limit To Your Love’ have shown he remains ahead of the rest, with cutting-edge studio skills and the drive to explore new musical avenues. A diverse and talented DJ, his live sets are largely built on exclusive and upfront material with an eclectic feel appealing to clubbers across the spectrum. With a long list of high-profile patrons including Marcus Intalex (Soul:r), Fabio (Creative Source), Shy FX (Digital Soundboy) and Zinc (Bingo), it’s no surprise that Lynx has risen quickly through the ranks to become one of the most in demand DJs in drum & bass. Bursting back on to the scene in 2006 with a fresh and infectious sound, it would be easy to overlook the many years of groundwork spent honing his skills with early releases on labels including Underfire, Audio Blueprint and Renegade Recordings. Lynx has since made music his profession, as well as his passion, and helps run a commercial studio, producing for a range of artists involved in other music genres. He’s already left his mark in the drum & bass scene, however, and raised the bar for creative and innovative production whilst keeping the dancefloor in firm focus. Combining his deep passion for funk, rock, soul, jazz and world music with the technical ability to realise his ideas, Lynx’s music comes from the heart whilst standing out from the rest. Always one to step ahead of the herd with a selection fresher than most, Lynx continues to set the pace with constant progression and innovation.